How To Configure PSI Client? 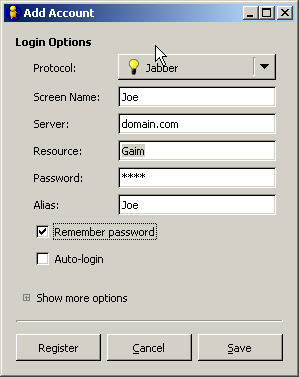 How do I set the IM gateways in Icewarp and JAJC ? 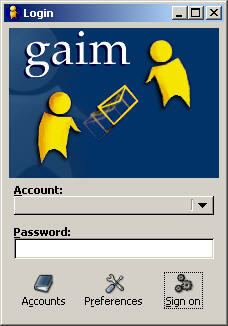 How can I setup the GAIM open source chat client for Icewarp IM? Click 'Accounts' at the bottom of the login page. Click 'Add' after the 'Accounts' window opens. Resource: GAIM (This is basically a profile name, as you can have multiple connections to the IM service with the same Account. Jabber Options: Check the box next to 'Use TLS if available,' and 'Force Old SSL'. If you have questions about GAIM, visit their FAQs.